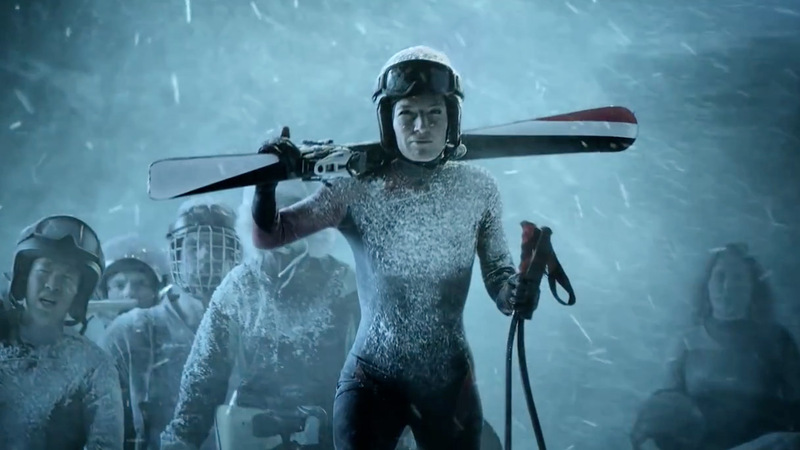 The BBC's official trailer for its coverage of next month's Winter Olympics in Sochi, Russia, has its champions and detractors, with some applauding the 90-second clip's epic sweep and others lamenting its dark tone and dearth of emotional appeal. Created by RKCR/Y&R and director Tomek Baginski, the film focuses on hyper-realistic winter desolation, its frames filled with frozen peaks, dagger-like ice formations and majestic pines toppling in plumes of snow. A booming narration by actor Charles Dance, as the voice of nature, begins: "I am the dreadful menace. The one whose will is done. The haunting chill upon your neck. I am the conundrum." And he gets even more intense, warning: "The ones that came before you. Stood strong and tall and brave. But I stole their dreams away. Those dreams could not be saved." Athletes appear around the one-minute mark, trekking across a lonely mountain pass, like some lost party of explorers inexplicably hauling skis, skates and hockey sticks in a haze of hypothermic delirium. Response has been decidedly mixed. Mostly I applaud the BBC for trying something a bit unexpected. If nothing else, the approach is sparking conversation and debate, fueling the promotional fires, while a more aspirational/feel-good spot, no matter how marvelously executed, would've been predictable and perhaps left some viewers (and reviewers) feeling a bit numb. Yes, a focus on individual athletes or specific events might have been compelling, but the clip does well in positioning the Winter Games as an outsized, soul-stirring challenge, a war waged against almost mythic forces poised to smite us at every turn. The voiceover, from Tywin Lannister himself, drives home the point that the Olympics can be the ultimate game of thrones.